As founder of Young Conservatives for Energy Reform, Michele Combs has lots of experience in Republican politics, working on many campaigns for Republican candidates on a national, state and local level. Ms. Combs was one of first young leaders to get involved with the issue of clean energy in 2008. She has built the Young Conservatives for Energy Reform to one of the most successful conservative organizations on clean energy with over 100,000 supporters nationwide. She has spoken to thousands of conservatives around the country on the issue and is considered one of the country’s top conservative voices on clean energy, stewardship and the environment. Michele Combs began her role in politics in college and at age 21 became the State Chairman of the South Carolina Young Republicans. Michele personally oversaw the growth of her chapter to one of the most active in the country and was elected as “Young Republican of the Year” by the Young Republican National Federation. Ms. Combs was chosen to head up the Educational Service Corp by the State Superintendent of Education, Barbara Nielson. Michele brought together corporations and children from all over the state and raised thousands of dollars to assist with vital program funding for state educational programs. Under her leadership, she also created summer programs and camps for underprivileged kids around the state. Michele owned her own Special Events and Production company, in which she produced hundreds of corporate and political events across the country. Michele’s diverse client base included the Congressional Medal of Honor Society, World Cup of Golf, events at the Republican National Convention and the Democratic National Convention. In addition, Ms. Combs produced events for Steve Forbes, Governor Campbell, Governor Beasley, US Senator Strom Thurmond, Governor Mark Sanford, Pat Robertson and many Congressional and Senatorial events. Her company was honored to produce five major presidential inaugural events for President George W. Bush. Michele served as Director of Special Projects for the Christian Coalition of America and was then promoted a year later to the Director of Communications. She has been quoted in major print media including the New York Times, LA Times, Wall Street Journal, Washington Post, Washington Times, People and Rolling Stone Magazine. She has appeared on various news networks including the Bill Moyers Show on PBS, NBC news and several other media outlets. Ms. Combs has also testified in front of Congressional committees including the Commerce Senate Committee, Energy House Committee, Judiciary House Committee, the FCC and spoke at national universities including Stanford University. Brian Smith received his undergraduate degree from Harvard University and is now an MBA student at the Kellogg School of Management, Northwestern University. Prior to beginning his MBA, Brian worked as an associate at Arsenal Venture Partners (AVP), supporting the U.S. Army’s Venture Capital Initiative and the Small Business Innovative Research (SBIR) program’s Commercialization Pilot Program. Prior to AVP, Brian held various technology management positions within the Department of Defense, first at the Air Force Research Laboratory, then at the U.S. Army Rapid Equipping Force, and finally the Office of the Secretary of Defense, Director of Defense Research and Engineering. In those capacities, he focused upon accelerating development of advanced technologies to support wars in Iraq and Afghanistan, with a focus on energy security. Brian has been an active member of the Republican Party. 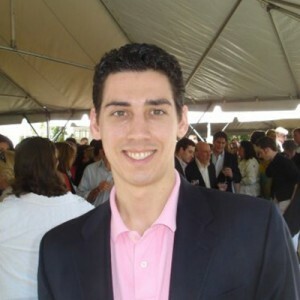 He served in various positions within the Republican and Young Republican organizations, including Co-Chair of Young Republican National Federation Policy Committee; Chair of the Arlington/Falls Church, VA Young Republicans; 8th District Chair of the Young Republicans of Virginia; 4th District Chair of the Florida Federation of Young Republicans; and Secretary of the Arlington County Republicans. He has also served a variety of campaign positions, including Energy Policy Chair, Future Leaders for McCain Coalition; 8th District Chair, Veterans for Bob McDonnell Coalition. Brian is veteran of the United States Air Force. Angel grew up in Chicago, and still calls the “Windy City” home, now residing in McKinley Park. Angel first became involved with YC4ER in 2014 and quickly became the Illinois State Chairman, thanks to his charisma and passion for promoting clean energy issues. Angel received his law degree from the John Marshall Law School, and his MBA from the Brennan School of Business. Angel began his career at the Chicago Mercantile Exchange, where he worked on the trading floor and later in the Market Regulation department. Today, he runs his own law and consulting firm. As an attorney, he counsels his clients on criminal and civil matters. In addition to his legal work, Angel has been active in politics since an early age, working on various local, congressional, and gubernatorial campaigns for Republican candidates. In 2012, Angel was elected and served as a delegate for Governor Mitt Romney. Angel has frequently been seen as political commentator on various local news networks, as well as, Telemundo and Univision. We are very honored to have such a great young leader on board and we look forward to working with Angel all around the country this year. 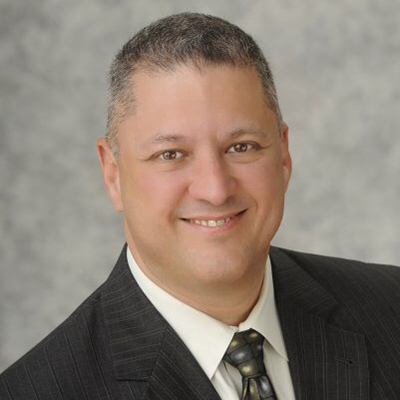 Juan C. Lopez-Campillo is Of Counsel in the Orlando office of Jackson Lewis LLP. 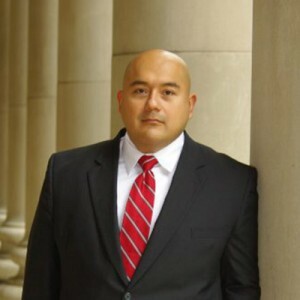 Mr. Lopez-Campillo has more than 12 years of experience representing employers before state and federal trial courts, appellate courts, and administrative agencies in employment-related matters, including matters involving claims of employment discrimination, retaliation and whistleblower, sexual and other harassment, employment torts, and unfair competition and trade secrets. Mr. Lopez-Campillo’s experience includes handling complex, multi-plaintiff litigation, and assisting employers with related compliance issues, including conducting internal audits of employers’ wage payment practices, assisting employers with audits by the U.S. Department of Labor, and advising employers on their obligations to comply with the Fair Labor Standards Act and related state wage-hour legislation. Mr. Lopez-Campillo also assists employers in resolving disputes outside of the courtroom through the employment of Alternative Dispute Resolution mechanisms. Mr. Lopez-Campillo routinely counsels clients of all sizes and in all industries achieve employment and labor law compliance objectives by providing practical advice and meaningful answers to complex employment and labor law compliance questions, and works with employers to review, draft, and update employment and HR policies and procedures. Mr. Lopez-Campillo utilizes his fluency in Spanish to draft employment and HR policies and procedures, employment contracts, and other documents in Spanish for employers with a Hispanic/Latino workforce, and conducts in-house seminars and training workshops (in English and Spanish) for supervisors and human resources personnel in areas such as employment law compliance and handling terminations to minimize the risks of employment-related litigation. Mr. Lopez-Campillo is admitted to practice law in the State of Florida. He is also admitted to practice before the U.S. Supreme Court; the U.S. Courts of Appeals for the Fifth, Tenth, and Eleventh Circuits; and the U.S. District Court for the District of Colorado, District of Columbia, Northern District of Florida, Middle District of Florida, Southern District of Florida, and Northern District of Texas. Mr. Lopez-Campillo earned a B.S. in Criminal Justice from Florida International University, and a J.D. with Honors from St. Thomas University School of Law, having graduated in the top 10% of his class. Mr. Lopez-Campillo also earned an LL.M. in Labor and Employment Law from Georgetown University Law Center. Adi Sathi serves as the National Director of Asian Pacific American (APA) Engagement at the Republican National Committee under the leadership of RNC Chairwoman Ronna Romney McDaniel. Over the last eight years, Adi has managed or advised numerous successful political campaigns at the local, state, and federal level in battleground states like Michigan, Ohio, and Virginia. Along with his role at the RNC, Adi also serves as the Chief of Staff to the Young Republican National Federation under YRNF Chairman Jason Emert. For his work in both of these roles, he was included in the Oakland County, Michigan Government’s “Elite 40 Under 40” Class of 2018 by County Executive L. Brooks Patterson. He recently appeared on CBC News with Carole MacNeil and has been featured in numerous publications including Politico Magazine and Fox Business. Over the years, he has also spoken at various organizational events and panel discussions throughout the country including TEDxUSCongress in December 2016 at the Rayburn House Office Building as well as on a panel at an event called Shades of Red and Blue in April 2017 at the New York Public Library. Prior to his role at the RNC, Adi was a 2016-17 Asian Pacific American Institute of Congressional Studies (APAICS) Legislative Fellow in the Office of Senator Orrin G. Hatch who serves as both the President Pro Tempore of the U.S. Senate as well as the Chairman of the Senate Finance Committee. Adi was selected as the first Republican Fellow in APAICS history since the organization was founded in 1994 by Secretary of Transportation Norman Y. Mineta. In this role, Adi advised on various policy issue areas, represented the office on the Joint Congressional Committee for Inaugural Ceremonies (JCCIC), and attended a Congressional Staff Delegation trip to China with the U.S.-Asia Institute that focused on trade policy and financial services. He was featured in The Hill’s annual 50 Most Beautiful list in 2017. 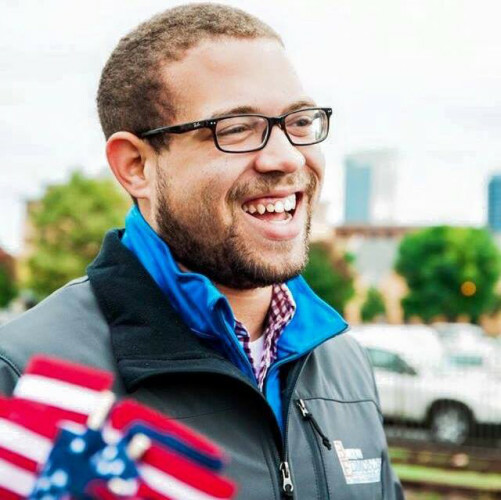 After completing both his Bachelor’s and Master’s degrees at the University of Michigan, Adi was elected in February 2015 to a two-year term as a statewide Vice Chair of the Michigan Republican Party at the age of 24. He served under the leadership of then MIGOP Chairwoman Ronna Romney McDaniel and helped deliver a GOP victory in Michigan for the first time in 28 years by less than 11,000 votes. For his work in this role, Adi was recognized in both 2016 and 2017 on Newsmax’s annual list of 30 Most Influential Republicans Under 30. He was also featured on Asian Fortune’s 2016 list of 50 Young Asian American Stars in Politics. As a graduate student, Adi was elected to serve as the Executive Director of the Association of Big Ten Students, an organization that consists of the 14 Big Ten schools from 11 different states and represents over 540,000 students. For his work in this role, he was invited to the 2013 White House Youth Summit, selected to be a part of the 2014 AIPAC Campus Allies Mission to Israel, and recognized by Red Alert Politics on their 2014 ’30 Under 30′ list. 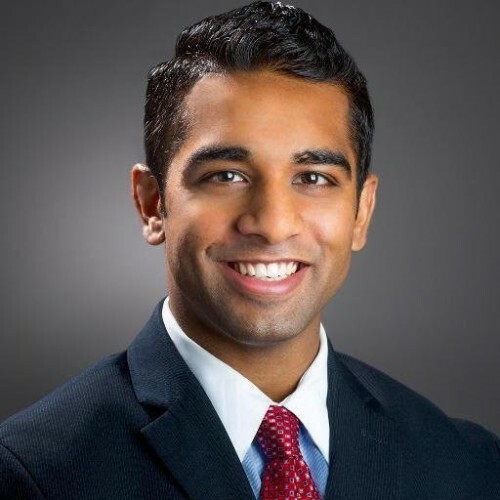 More recently in his educational career, Adi was a 2016 Fellow in the Michigan Political Leadership Program (MPLP) through Michigan State University’s Institute of Public Policy and Social Research (IPPSR) as one of 24 people selected per year. In his free time, Adi also sits on the Board of Directors of the Community Financial Credit Union (CFCU) and serves as the Northeast Chair of the Young Conservatives for Energy Reform (YC4ER). He enjoys cheering on Michigan sports teams, working out, and binge watching Netflix shows. 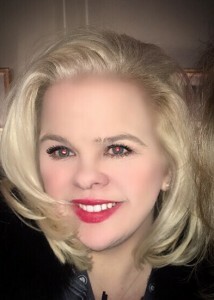 Natalia Pogrebna is currently a Business Development executive at New Generation Power International – a fast growing renewable energy company based in Chicago, IL. Natalia brings her expertise in market research and financial/economic analysis to develop new business opportunities internationally in clean energy. She has developed/managed private as well as government owned power plants, which collectively power over 500,000 homes across the globe. Outside of her work, Natalia has a strong interest in promoting clean and environmentally friendly energy technologies. 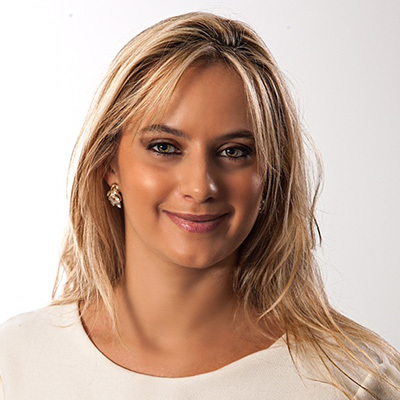 Prior to her experience in energy sector, Natalia began her career as a Financial Analyst in Private Banking. In addition to her work in energy sector, Natalia currently works as an independent consultant on various infrastructure development projects. Additionally, Natalia has been active in politics, helping with various local campaigns. Natalia is also active with the Chicago Young Republicans and was a delegate to the 2015 Young Republican National Federation Convention. Natalia was born in Ukraine, but grew up in Des Plaines, IL and currently resides in Chicago. Natalia holds a B.S. in Finance/Economics from Northeastern Illinois University. Blake Edmonds is the Great Lakes Regional Chairman of the Michigan Chapter of the Young Conservatives for Energy Reform. 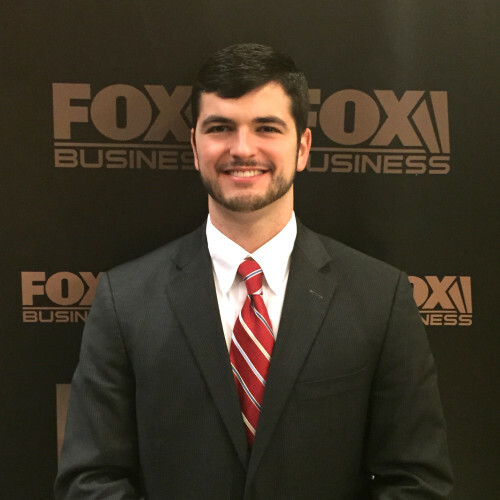 Blake began his political activism his freshman year at Aquinas College in College Republicans. He quickly took on a leadership role being elected Chairman of the group his second semester, the same year he helped elect a College Republican to student body president. From there Blake ran for 1st Vice Chair of the Michigan Federation of College Republicans and was elected with and was the only person from his ticket to do so. In 2013 Blake with the encouragement from the sitting Youth Chair ran for Youth Vice Chair of the Michigan Republican Party which he won with 65% of the vote. While serving as Youth Chair Blake stayed involved with a number of other causes including serving on the a number of boards including the RNC’s Michigan Black Advisory Council, West Michigan’s United Way NextGen, and the Michigan Political Leadership Program’s Fundraising Board. In November of 2014 Blake was asked to join the Young Conservatives for Energy Reform team in Michigan. Since joining YCER he has continued to be involved with politics in January of 2015 Blake joined the Republican Constituent Relations team at the Michigan House of Representatives. While with the House Blake published an op-ed with Michelle Combs in the Detroit Free Press discussing Governor Snyder’s Energy Plan. At the end of July Blake left the Michigan House of Representatives to pursue other opportunities. In mid-august Blake decided to run for State Representative in Michigan’s 75th District Special Election to fill a vacancy. His election is March 8th during the Michigan Presidential Primary and if elected Blake will be the youngest African-American ever elected to the Michigan Legislature and the youngest African-American Republican ever elected to state office in the country. When he’s not working, Blake enjoys spending time with his family, friends and his dog Israel. Matthew started his political career in high school when he attended several Christian Coalition events in Washington, DC and worked with the Christian Coalition National Youth Movement. While attending the University of South Carolina, Matthew was on the prestigious University of South Carolina Mock Trial, Academic and Philanthropy Chairman of the Alpha Phi Chapter and a member of the Alpha Tau Omega fraternity. Matthew was also in the Entrepreneurship Club and a member of the National Criminal Justice Association. Matthew attended the Young Conservatives for Clean Energy Summit in the Fall of 2015. Upon his return, he was appointed to position of the Southeast Chairman to help organize the entire southeast which includes chapters in Florida, Georgia, Alabama, Mississippi, North Carolina and Tennessee.